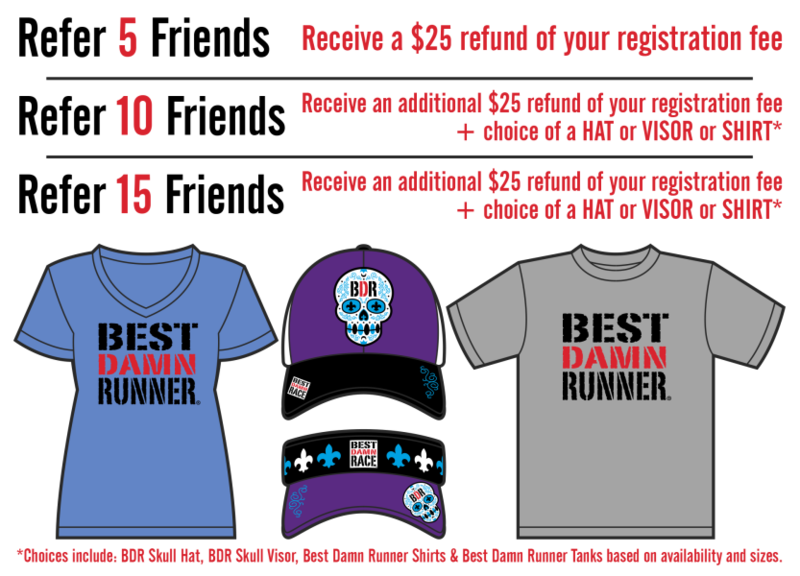 Additional race information can be found at http://jacksonville.bestdamnrace.com. 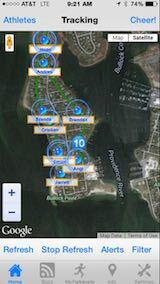 Make sure you download the RaceJoy mobile app for live phone tracking at the Best Damn Race Jacksonville. 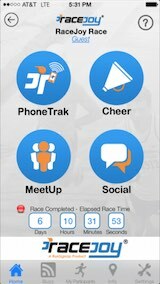 The Best Damn Race Jacksonville is sponsoring RaceJoy to provide participants and spectators these features for free (normally a 99 cents upgrade fee for both the participant and spectator). The Best Damn Race Jacksonville has course maps available. Why Run The Best Damn Race? Get 5 friends to sign up using your unique referral link and you will automatically receive up to a refund of $25.00. Boom! Get 10 friends to sign up and you get up to $25 more + a swag reward! Get 15 friends to sign up and you get up to $25 more + another swag reward!